Flowers are blooming. Birds are chirping. And the Really Woolly characters are discovering God’s goodness all around them. 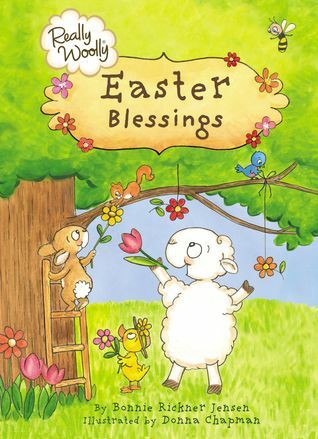 Curl up with your little one, and join the fun while learning about the hope of Easter and springtime! Adorable rhymes, sweet Bible verses, and prayer starters will make reading time a special moment for you and your child—to connect with each other and with God. Cassandra's Review- The illustrations are beyond adorable. You get a little Bible verse and a tiny story for each of the huge blessings. If you enjoy spreading faith and love, this is going to be a nice little book for your friends and family to enjoy.